When you think about elite endurance athletes and the factors that make them champions, many consider VO2 max as the be-all and end-all for determining success in endurance sports. But if this is the case, how did Frank Shorter win the Olympic marathon with a VO2 max in the low 70s when many of the athletes he was competing against had values in the mid-80s? Our goal in this article is to dive into a few limiters to endurance performance so we can better understand the makeup of successful endurance athletes and implications for training. Traditionally exercise physiologists have used VO2 max as an indicator of endurance potential. A VO2 max test measures the amount of oxygen consumed in milliliters per kilogram of body weight per minute while exercising at maximum exertion to exhaustion. The higher your VO2 max the better your body utilizes oxygen under intense exercise. Elite male endurance athletes have VO2 max values between 70-85+ ml kg−1 min−1. Women typically have values 10% lower due to lower hemoglobin concentrations and higher levels of body fat (Coyle and Joyner, 2007). VO2 max indicates an athletes’ aerobic capacity, which may be more important for a shorter aerobic effort such as a 5k or shorter run, or a 10-mile cycling time trial, but less important for endurance performance lasting several hours. VO2 max is a poor predictor of performance within a homogeneous group. For example, if we randomly sampled VO2 max from a population, higher VO2 max values would tend to perform better at endurance events. However, when you get really specific and look at VO2 max on the start line of an elite triathlon, cycling, or running event, there is very little correlation between VO2 max and performance. Many people believe that VO2 max is fixed and determined by heredity however this is not the case. In fact, many scientists believe that only 50% of your VO2 max is determined by heredity. That’s great news for most us. It means we can put in work and see significant improvements over time. One’s VO2 max is fluid just like many other components of fitness, and VO2 max intervals offer the most potent stimulus to increase VO2 max. Lactate threshold is a term used to describe the point of a spiked increase in blood lactate during incremental exercise. Blood lactate does not change significantly from rest to moderate intensity, but there’s an exercise intensity at which it begins to increase exponentially. That point is known as your Lactate Threshold. It is important to note that the lactate is not what causes muscle fatigue (Joyner and Coyle, 2008). This huge influx shows the degree of muscle glycolytic stress reflected in lactate production which correlates with endurance performance. Endurance events that last longer than 10-15 minutes are not performed at VO2 max. For example the marathon is run at approximately 75–85%, a 10 km running race is performed at 90–100% and 5 km at close to VO2 max for elite athletes (Joyner and Coyle 2008). An elite time trialist will perform a 40 km time trial at around 86-90% of VO2 max. As you can see, fractional utilization of VO2 max is important for all endurance distances. Sustaining a high percentage of VO2 max for a long period of time is very important. This can only be done with specific training over long periods of time and has much less to do with genetics. However, there is still one physiological component missing, economy of motion. Efficiency or economy is how much power or speed can be generated at a certain level of oxygen consumption. For running, the amount of oxygen consumption can vary between individuals by as much as 30-40% (Joyner 1991) and in cyclists 20-30% (Coyle 1995). For distance runners, running economy is considered the “Holy Grail” to elite level performance. In a study published in the journal Applied Physiology, Nutrition, and Metabolism, researchers attribute “running economy,” not aerobic capacity, to the success of East African runners. Researchers found no significant difference between the VO2 max values between Eritrean and Spanish runners. Instead, they found the East African runners used less oxygen to run the same speed as the Spanish runners (Wollner, 2014). For cyclists, it has been shown that mechanical efficiency in trained cyclists generating 300 watts can vary from 18.5- to 23.5 %, but it appears that more than one-half of this variability is due to the percentage of type I muscle fibers in the vastus lateralis muscle (Coyle, 1992). When combining VO2 max, Lactate threshold, and economy, physiologists are better at predicting performance (but still not great). For a runner, we can combine all three variables, by determining running speed at lactate threshold. For a cyclist, we can determine power output at lactate threshold. These values are a better predictor of performance but are still pretty poor as the distances get longer. Simple field tests can give us a good indication of how your training is going, but ultimately races are not competed on paper. You may have heard that it takes 10,000 hours and 10 years to become an expert in a given field. The deliberate practice model by Erikson holds that distinctive characteristics of elite performers are the result of adaptations to extended and focused practice activities that selectively activate dormant genes that are contained within all healthy individuals DNA (Tucker and Collins, 2012). Central to his idea is that it takes 10,000 hours of specific training over about 10 years to become an expert performer in a field. To become elite in an endurance sport the data does vary somewhat, and there does seem to be a genetic variant and response to training differences. There is also a talent transfer from playing other sports that allows some athletes to leapfrog the progress of others in less time. For triathlon we see this all the time. Rarely do triathletes start with triathlon, but rather they were elite in swimming, biking or running first. Even though this model is not 100% accurate, I like to keep it in the back of my mind when athletes get frustrated with progress. We all know that training makes us better. Focused, deliberate training makes us even better. Be patient and consistent in your training and remember quality of your workouts counts as much as logging long hours. There are many examples of extraordinary athletes that are able to push beyond the pain limits that most of us seem to have in place. Steve Prefontaine famously, said, “Somebody may beat me, but they’re going to have to bleed to do it.” The brain is probably one of the least understood and most interesting aspect of training and racing. In David Epstein’s book, The Sports Gene he highlights two components of successfully coping with pain and suffering. The first is the ability to perceive pain. He points to a 2010 study that shows a genetic variation among individuals in how they perceive pain. The second is the ability to process pain. He cites research that genes play a role in whether a person is a “worrier” or a “warrior”. Warriors are supposed to be more resilient than worriers under stress (Wollner, 2014). Most people fall somewhere in the middle. How all of these factors come together and determine endurance performance is individual and the research is still limited. Much still needs to be done in the areas of metabolic efficiency, fuel oxidations rates, muscle fiber contractility, efficiency, and motivation (Tucker and Collins, 2012). There is not one path to endurance success and everyone’s journey is different. Take a personal inventory of your strengths and weaknesses and proceed with a deliberate approach to your training. Stay present during each training session and complete each session with purpose. 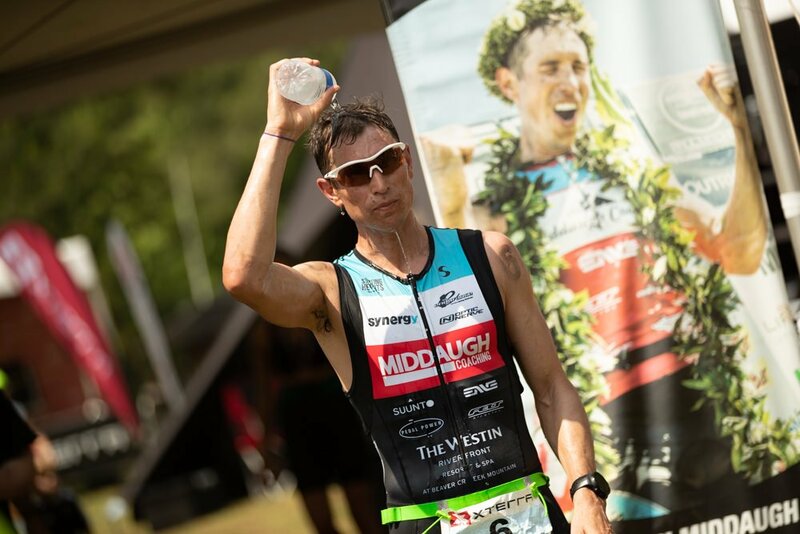 Josiah Middaugh is the reigning and two-time XTERRA Pan America Tour Champion, a 12x XTERRA National Champ, and the 2015 XTERRA World Champion. He has a masters degree in kinesiology and has been a certified personal trainer for 18 years (NSCA-CSCS). 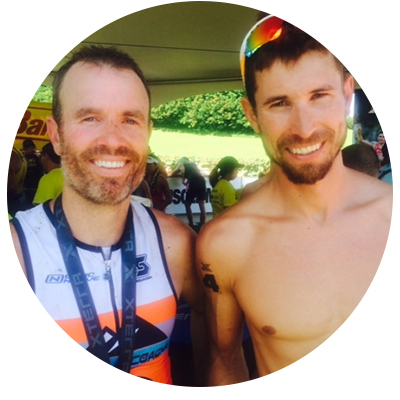 His brother Yaro, who wrote this article, also has a masters degree and has been an active USAT certified coach for more than a decade. Read past training articles at http://www.xterraplanet.com/training/middaugh-coaching-corner and learn more about their coaching programs at http://middaughcoaching.com. Coyle EF, Sidossis LS, Horowitz JF, Beltz JD (1992). Cycling efficiency is related to the percentage of type I muscle fibers. Med Sci Sports Exerc. 1992;24:782–788. Coyle, EF (1995). Integration of the physiological factors determining endurance performance ability. Exerc Sport Sci Rev. Science and Medicine in Sport 2 (3): 181-189.
training—Part I. Sports Medicine, 35(4), 285-312. Joyner, MJ (1991). Modeling: optimal marathon performance on the basis of physiological factors. J Appl Physiol. 1991;70:683–687. Tucker and Collins (2012). What makes champions? A review of the relative contribution of genes and training to sporting success. British Journal of Sports Medicine. 2012. June 10. Wollner, Sam. (2014). The Science Behind What Separates Elite Endurance Athletes From Everyone Else. Mic.com. 2014. August 1.